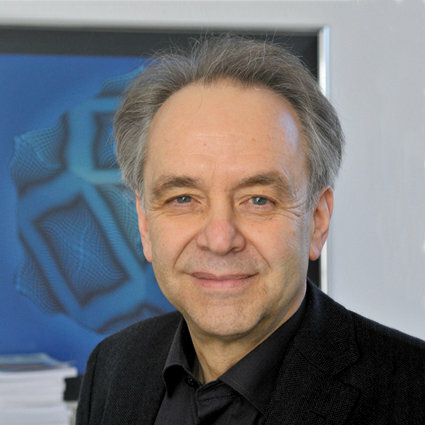 Prof. Dr. Klaus Mainzer studied mathematics, physics, and philosophy, Ph.D. (1973) and habilitation (1979), assistant and lecturer (1973-1979) at the university of Münster; Heisenberg-scholarship (1980); 1981-1988 professor for foundations and history of exact sciences at the University of Constance, vice-president of the university of Constance (1985-1988); 1988-2008 chair for philosophy of science, dean (1999-2000), director of the Institute of Philosophy (1989-2008) and of the Institute of Interdisciplinary Informatics (1998-2008) at the University of Augsburg; since 2008 chair for philosophy of science and technology, director of the Carl von Linde-Academy and member of the advisory board of the Institute for Advanced Study at the Technical University of Munich; member of several academies and interdisciplinary organizations (e.g., European Academy of Sciences/Academia Europaea in London), coeditor of international scientific journals; guest-professor in Brazil, China, India, Japan, Korea, Russia, USA, and the European Union; author of internationally translated books, e.g. : Symmetries of Nature (1996); Thinking in Complexity. The Computational Dynamics of Matter, Mind, and Mankind (5th enlarged edition 2007); The Little Book of Time (2002); Symmetry and Complexity. The Spirit and Beauty of Nonlinear Science (2005).